Home » Montenegro or “Mafianegro”? In June, the Democratic Party of Socialists headed by Milo Djukanovic celebrated its 25th anniversary. It all began in 1989, when Milo Djukanovic, Momir Bulatovic and Svetozar Marovic “ended communism.” On June 22nd, 1991 the League of Communists of Montenegro transformed into the Democratic Party of Socialists and announced democratic elections. Milo Djukanovic has been in power since then. The name of the “Democratic Party of Socialists” was created by Svetozar Marovic, who was a close ally of Milo Djukanovic. But no longer. Svetozar Marovic was the political director of Democratic Party of Socialists and the second man in party. Then Marovic admitted to a special prosecutor that he is the boss of a criminal organization of about thirty people which was formed in order to acquire illegal profit. Marovic is being sentenced to three years and eight months in prison. The process was initiated under international pressure to show that senior politicians can be convicted in Montenegro. Milo Djukanovic is one of the most loyal vassals of the West, especially the US, but the Western media link the Democratic Party of Socialists and Milo Djukanovic with the mafia, corruption and crime. This topic has even been dealt with by the BBC which asked “Can Montenegro rid of the image of a crime hub?” before a number of respondents implied that corruption stems from the state leadership and that the alleged fight against corruption is essentially a fraud. Another highly respected global organization, the network of investigative journalists, OCCRP, declared last year that Milo Djukanovic was the “Criminal of the Year”, and asserted that he was “devoted to building a kleptocratic and corrupt society“. Montenegro has repeatedly found itself on the website of Mafia Today, which monitors criminal activities around the world. It is enough to specify one of the titles to decipher the context: “Montenegro: mafia state in the EU neighbourhood“. Euobserver also dealt with the state of democracy in Montenegro. In an article from two years ago, they paid special attention to Montenegrin media, or to be more precise, to the pressure put on any media who dare to speak the truth about Djukanovic. 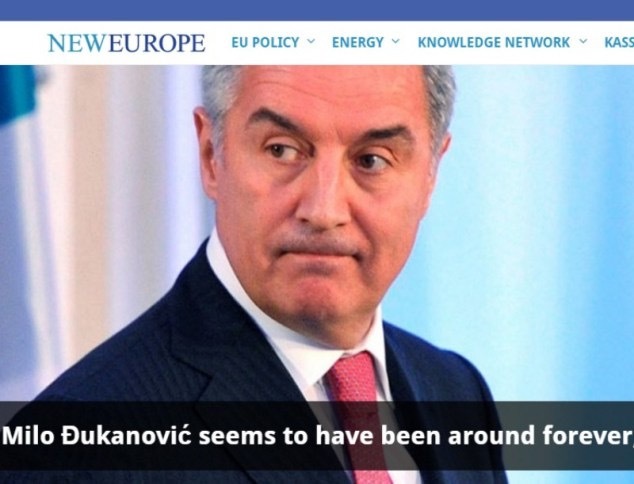 On the other hand, the portal New Europe’s analysis of the situation in Montenegro begins with a satirical headline saying that Djukanovic has “always been in power,” while the comprehensive analysis of the article touches on his participation in the war, his sudden change of political course, and the charges that he is the head of a criminal gang. And the highly respected Foreign Policy magazine also wrote about Djukanovic’s rule. They called him an autocrat and recalled that, back in 2009, he had a fortune of 15 million euros. They highlight his brother’s career from promoting concerts to becoming a tycoon. Foreign Policy also points to charges against him for cigarette smuggling and money laundering. Forbes was no less sharp in relation to Djukanovic. Forbes warns that Montenegro’s membership in NATO would pose a serious embarrassment to the military organization given the fraud and scandals tied to Djukanovic and his associates. Karasik further states that the prime minister’s name is linked to the 2004 murder of Dusko Jovanovic, editor of the opposition newspaper DAN, because Jovanovic exposed Djukanovic’s criminal activity and fraud. Subsequent violent attacks on Montenegrin journalists who are trying to bring transparency in Montenegro are the norm. The message is “Shut your mouth or face the consequences”. Unfortunately all of the above is true. 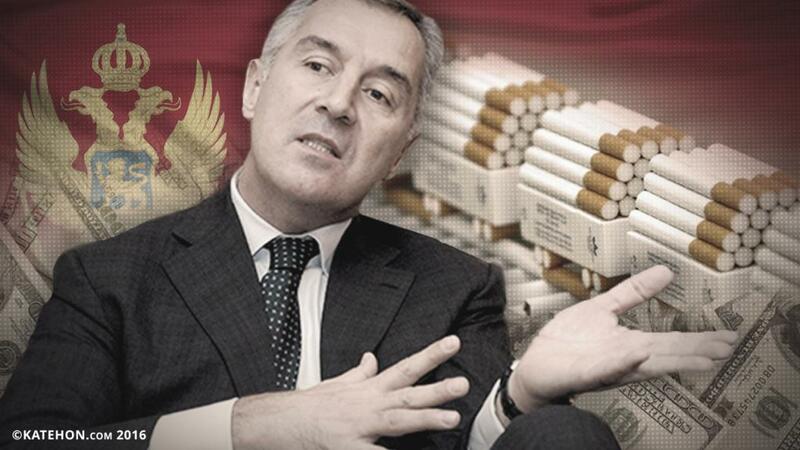 It is obvious that the media and experts in the West are aware of who is Milo Djukanovic. But then the logical question is: why has the West tolerated Djukanovic’s behavior all these years? The answer is in geopolitics. The US in particular has its own goals in Montenegro. These goals are not supported by the people of Montenegro, who support Russia, so the US has not yet chosen the way by which to realize its goals. The main objective of the US today for Montenegro is the country’s entry into NATO. That would, among other things, close the Adriatic sea to Russia and, moreover, would tie the noose around Russia’s main allies in the Balkans – Serbia and Republika Srpska. The only politician who can drag Montenegro into NATO is Milo Djukanovic. He has perfected undemocratic or, more precisely, mafia methods for decades. It is clear that the people of Montenegro will have a difficult struggle for freedom ahead of them.